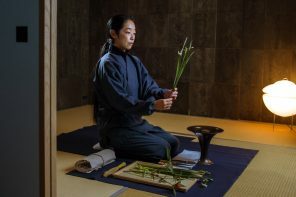 Most people won’t have heard of the small island of Awaji. It can be found in the Inland Sea, just between the main island of Honshu and Shikoku – the smallest, least populous, and least visited of Japan’s four main islands. 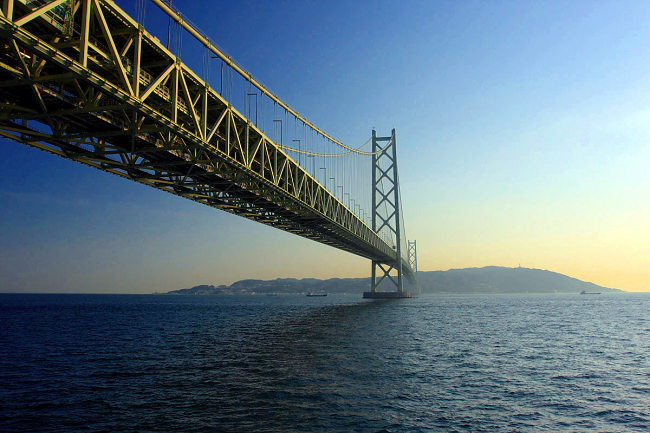 Connecting Awaji to the mainland of Honshu is the Akashi Kaiyko Bridge – the longest single span suspension bridge in the world. Opened in 1998, at 1,991 metres (6,532 ft; 1.237 mi), its central span dwarfs even that of the more famous Golden Gate Bridge in San Francisco in the USA. 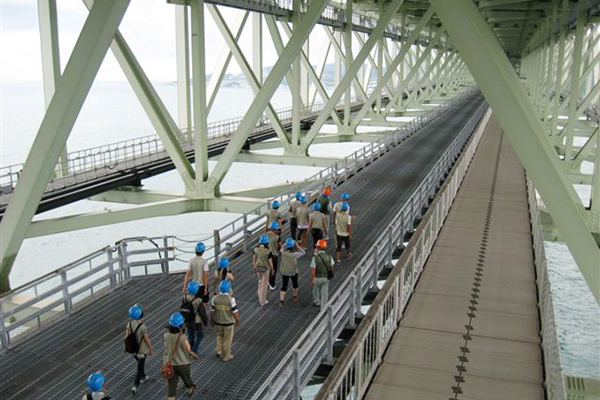 What’s amazing about this bridge though is not only can you walk along it underneath the main road level, but you can go up to the very top of one of its two main supporting towers – 300 m above the churning Akashi Strait waters. The two towers were originally 1,990 m (6,530 ft; 1.24 mi) apart, but the Great Hanshin earthquake in January 1995 moved the towers so much (only the towers had been constructed at the time) that the span had to be increased by 1 m (3.3 ft). There is no train track on the bridge, it’s just six lanes of roadway. To explore the world’s largest single-span suspension bridge, you need to buy a Bridge World package tour organised by the bridge company. 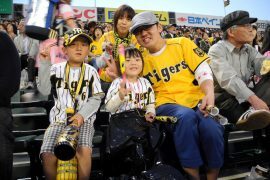 Current prices are ¥3,000 per adult and ¥1,500 per child (aged 13-15). No one younger is permitted because of safety issues. You’ll need some form of ID (such as a passport or driver’s licence) and you’ll need to book in advance as there are only two tours per day, between Thursdays and Sundays. There are no tours from December to March. Note: Unfortunately, the tour isn’t able to accommodate wheelchair users or those who have difficulty walking. When you arrive you are taken inside the Akashi Kaikyo Bridge Exhibition Centre at the foot of the Kobe side of the bridge. First, you’re taken through to a room, a little like a classroom, where you are shown a short PR film introducing the bridge, followed by a safety briefing. It’s all in Japanese but the gist of the main points are fairly obvious. As part of this briefing, you have to sign a waiver form saying that you recognise that this is dangerous and you might die in the process ;-). Only kidding! You probably won’t actually die, but you do need to sign a waiver form. Everyone is then given a safety helmet that must be worn at all times during the trip. After a brief look around the Exhibition Centre, where you are reassured by details of the impressive construction, they take you outside and onto the bridge. Access is via some steps you need to walk down, taking you to the maintenance platform. 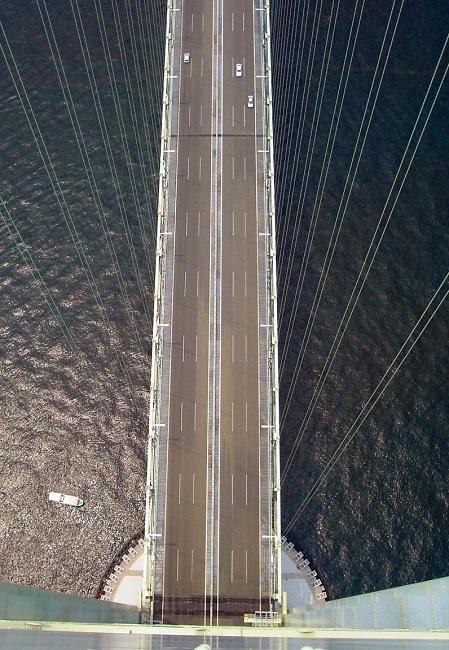 This is a pathway running the entire span of the bridge, in parallel below the main level carrying the road traffic. The deck of the platform is a weave of steel joists rather than being solid – making it see-through. You can look down and see ships passing underneath the bridge below. There are two suspension towers carrying the weight of the span and when you get to the first one, you enter a small lift inside the tower itself. It takes about two minutes to go up to the 98th floor. (I’m not sure what’s on the other 97 floors! ;-) ). 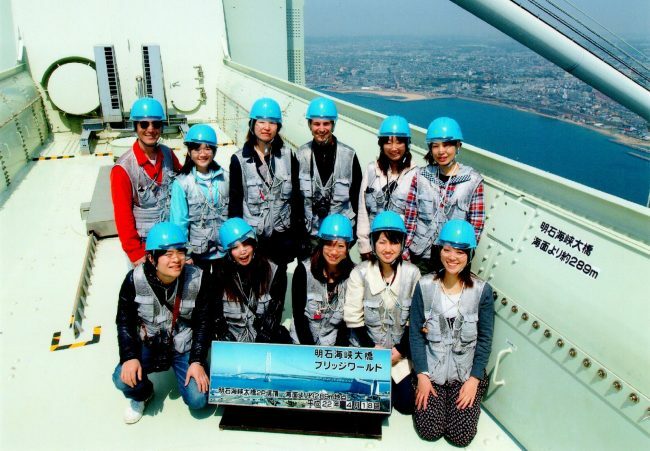 Us (middle back) on top of Akashi Kaikyo bridge – 300m up! At the top, you exit still inside the tower, then there is a small stairway to climb up the final few metres, and through a sliding steel doorway that opens out onto the cross bar platform at the top – almost 300 metres up! The photo above was taken when Yuko and I did the trip. There we are in the centre at the back, in our fetching (but protective and very welcome) blue helmets. In the photo, behind us in background you can see Awaji island to the south, and to the left of the photographer (out of shot) is Kobe on the main island of Honshu and the Exhibition Centre where you get your briefing. If you look closely, you can see there is a sign stating that it is 289metres high. So, it’s pretty high! As you might expect, there are some spectacular and breathtaking views. You can’t hang around up here for very long. Although, they do allow you to wander and take your own photos. 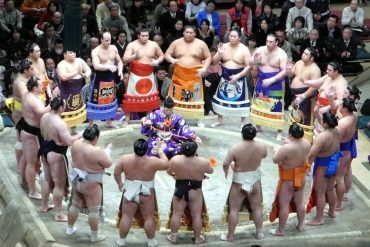 They take a commemorative shot with the date of your visit (using the Japanese calendar dating system) – a printed copy of which you receive at the end of the trip as part of your package. Once you head back down, you are encouraged to have a look around (and hopefully spend a bit more money) in the visitors centre. This is situated on the bridge, below the road above it is actually quite a nice place to stop and rest for a while. There is a café here where you can get light food and drinks and the inevitable gift shop. Before you finish the tour, you return to the briefing room where you started, to hand back your helmets. A nice, unexpected, touch was everyone is given a small commemorative gift pack. It includes a printed copy of the official photograph that was taken at the top of the tower (ours is the one reproduced above), a certificate of completion of the tour, a DVD about the design, construction an maintenance of the bridge, along with several promotional, glossy factsheets about the bridge (all of which is in Japanese) in a commemorative folder. 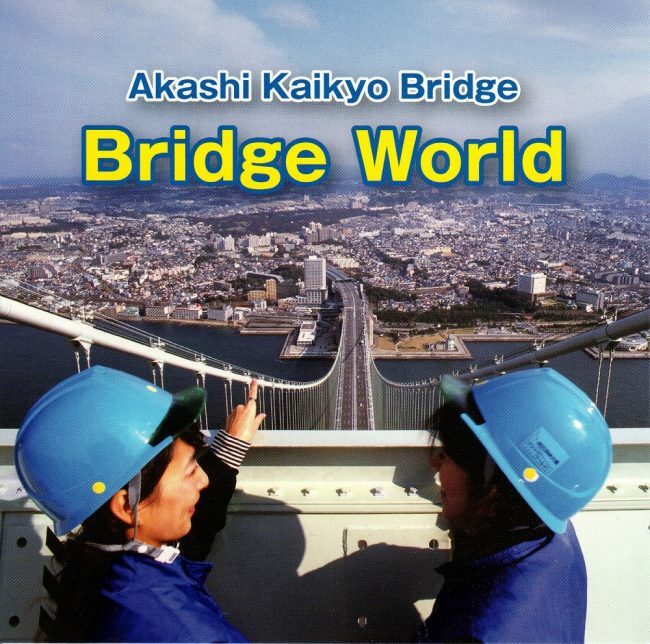 Although the Akashi Kaikyo Bridge itself is reasonably well-known and well worth a visit, not many people are aware of the Bridge World tour you can take. If you’re thinking of going to the bridge, I’d thoroughly recommend taking the Bridge World tour as part of your trip. It’s an unusual and unforgettable way to spend a few hours. Have you been on the Bridge World tour? Or something similar on another bridge? I’d love to hear from you! Share your experiences by leaving a comment below. 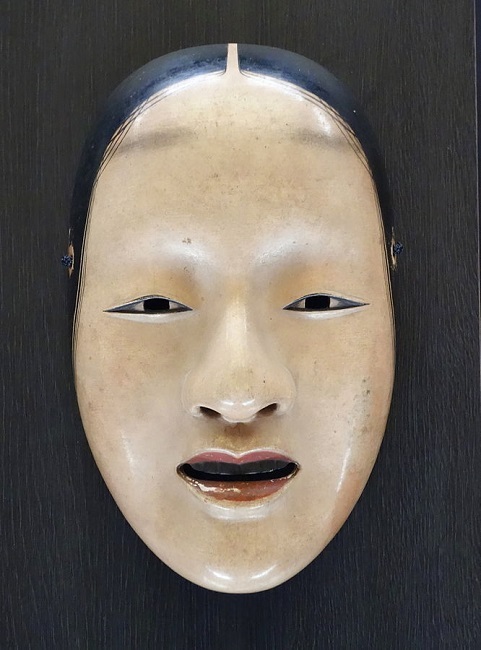 Previous articleThe Real Japan YouTube Channel Launched!